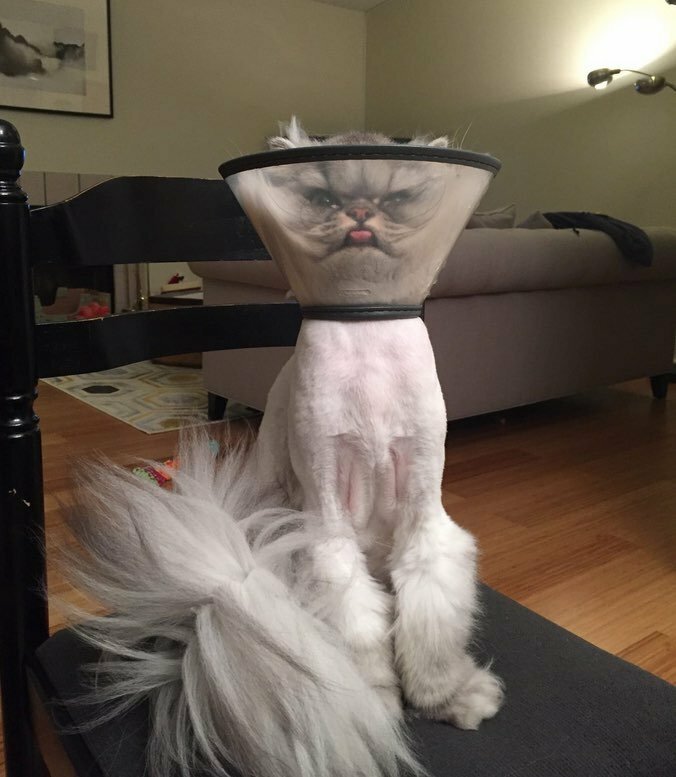 A hilarious photo of a cat named Albert in his e-collar (aka cone of shame) has gone viral. His human Jean Baker shared the pic of her 2-year-old Persian looking miserable and then posted it to Facebook where it promptly ‘blew up’. The photo has close to 2 million views on Imgur and has been shared on TV shows as well. Albert got the cone of shame after having a cyst removed and had to leave the cone on for a few days to let the stitches heal. Albert is clearly not a fan of the e-collar.